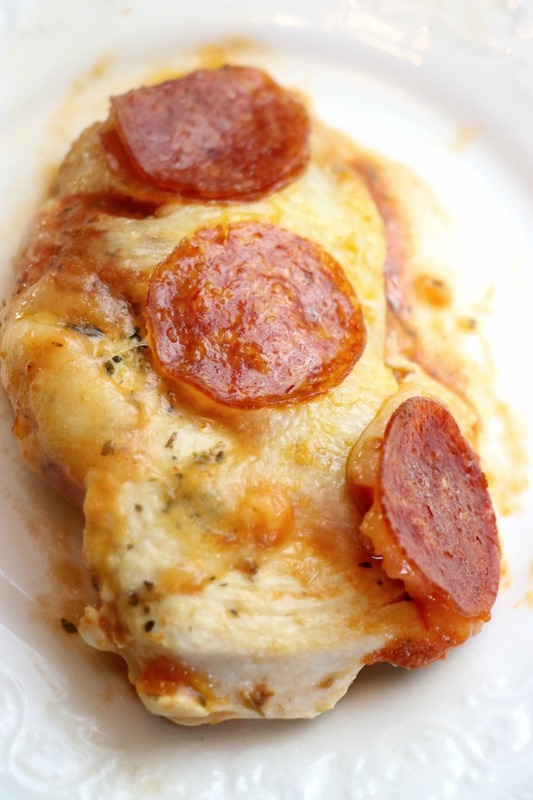 Pepperoni Pizza chicken is amazing! 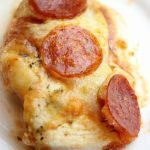 Don’t let the name full you, this low carb pizza has all the delicious taste of a real pizza without the crust. In fact, I think this Pizza chicken may actually be better than real pizza. Having recently jumped on the Keto train I’ve been searching high and low for recipes that are keto friendly. For the most part, I’ve been doing a good job at staying low carb but also eating foods that I love. The one exception has been pizza. Like most people, I love pizza. I could probably eat pizza for breakfast, lunch and dinner seven days a week and not get sick of it. Well, probably not but it’s worth dreaming about. Pizza is not very low-carb, keto friendly. The main ingredient is crust. 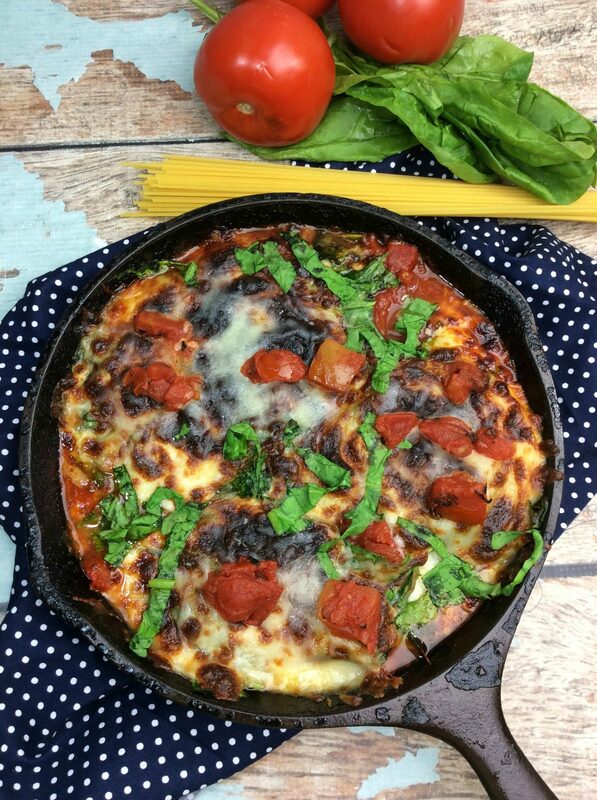 So with my cravings for pizza at an all time high I knew there had to be a low carb pizza recipe out there. I started seeing all sorts of recipes that called for thinly sliced chicken as the “crust”. And that’s when it hit me. 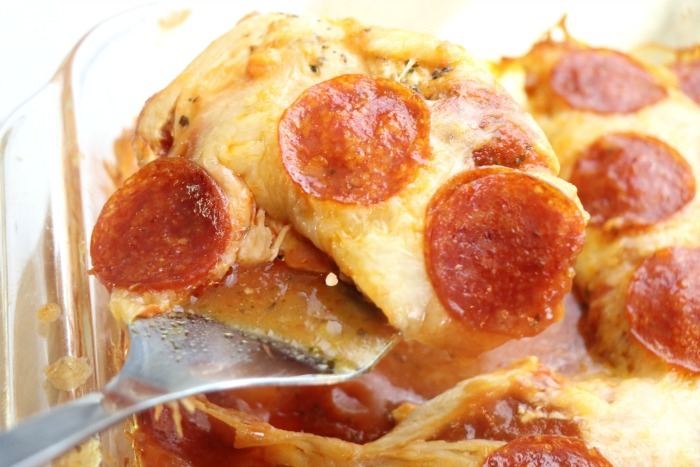 Pepperoni Pizza Chicken. It sounds weird, but it tastes like heaven in your mouth. 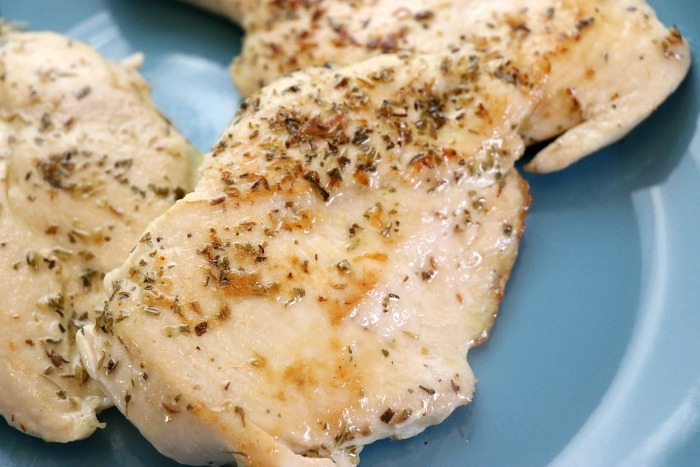 Sprinkle the tops of each chicken breast with garlic powder, salt, pepper, Italian seasoning. In a large frying pan heat the oil and then add the chicken breast. Cook the chicken breasts 4-5 minutes on each side. Place the cooked chicken breasts into a large baking dish. Spread pizza sauce over the top of the chicken breast, make sure you cover them completely. Next add shredded mozzarella cheese over the chicken breasts. 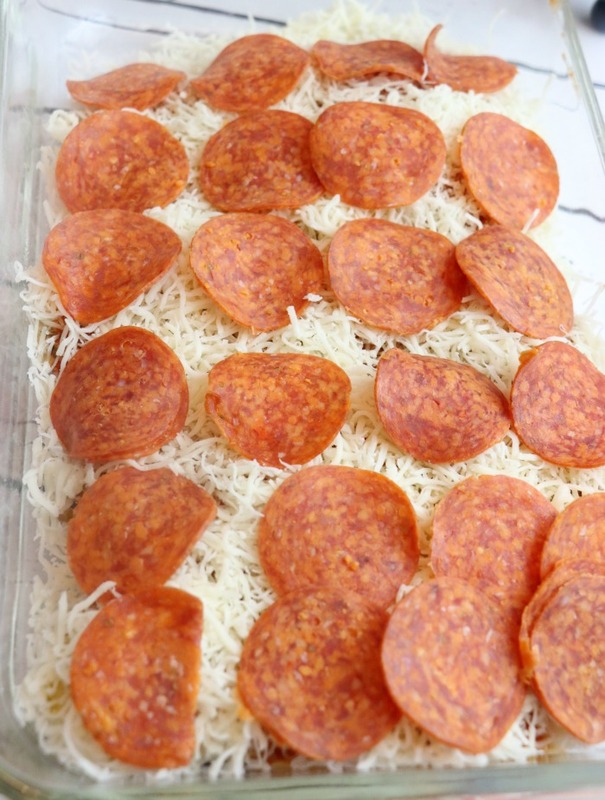 Layer the top of the chicken with pepperoni slices. Place in the oven, uncovered, for 15-20 minutes or until the cheese is completely melted. If you are worried about whether or not your kids will like this pizza with no crust, don’t be! It’s delicious and they are going to love it. This is coming from a home with 3 picky eaters all different ages. Each of my kids devoted their plate of pepperoni pizza chicken and actually asked for seconds. 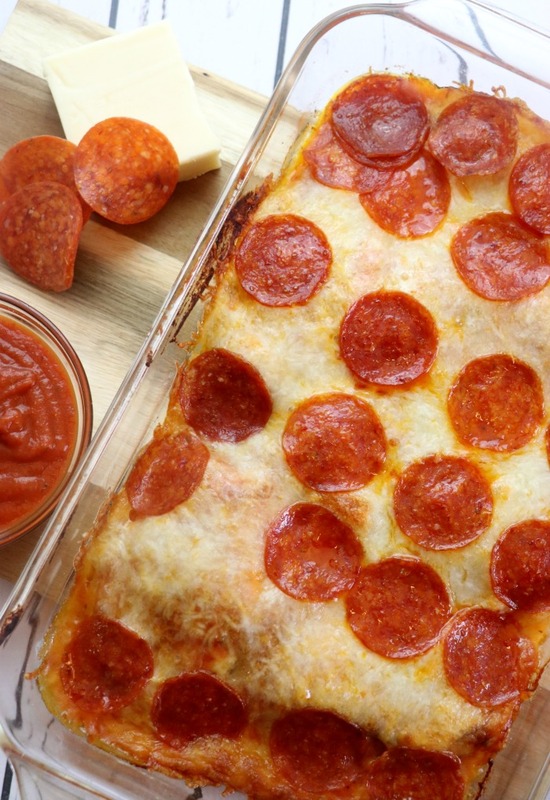 Low Carb Keto Friendly Pepperoni Pizza Chicken Bake. This recipe is super easy to make and kid friendly. 1. Heat olive oil in a a large skillet. Add chicken breast and cook for 4-5 minutes on each side. Place cooked chicken in a baking dish and cover the chicken with pizza sauce. Next cover with shredded cheese. Lastly add the pepperoni slices on top. Bake at 400 degrees F for 20 minutes or until the cheese is completely melted. Chicken is pretty much a staple in our home. We make it most nights for dinner. 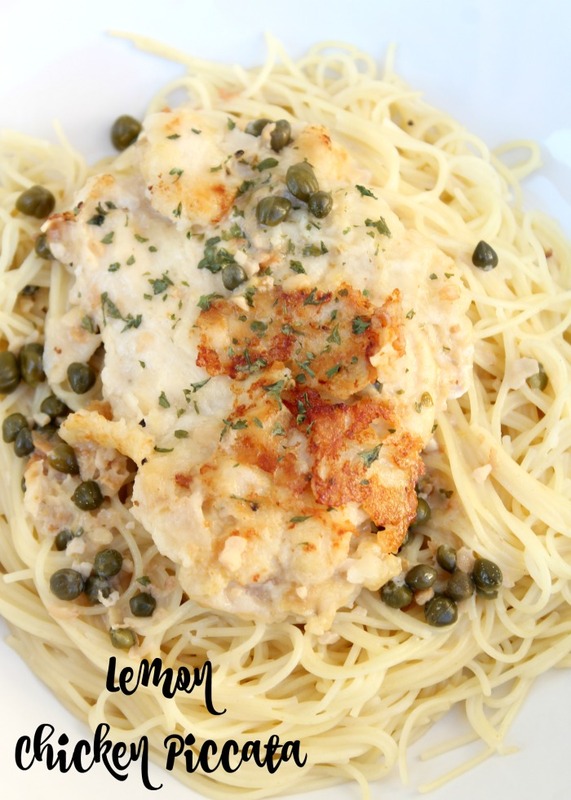 Here are some of my favorite easy chicken recipes that are great for getting dinner on the table fast. Just click on the image and it will take you directly to the chicken recipe.